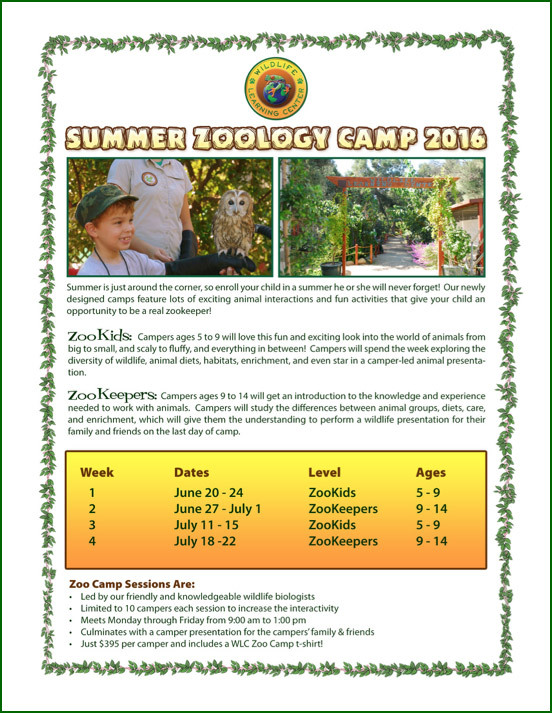 Summer is just around the corner, so enroll your child in a summer he or she will never forget! 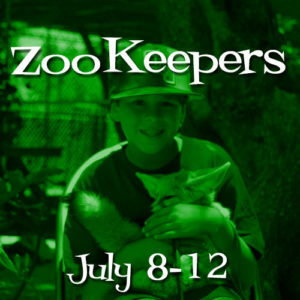 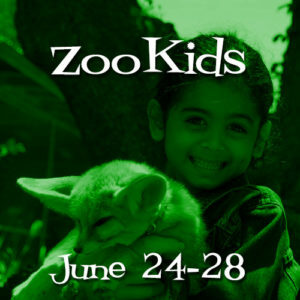 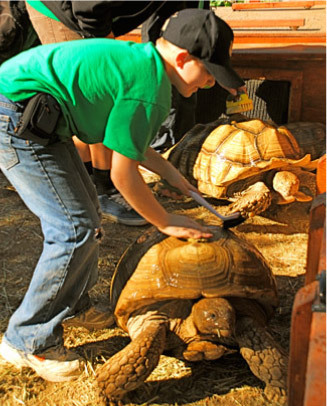 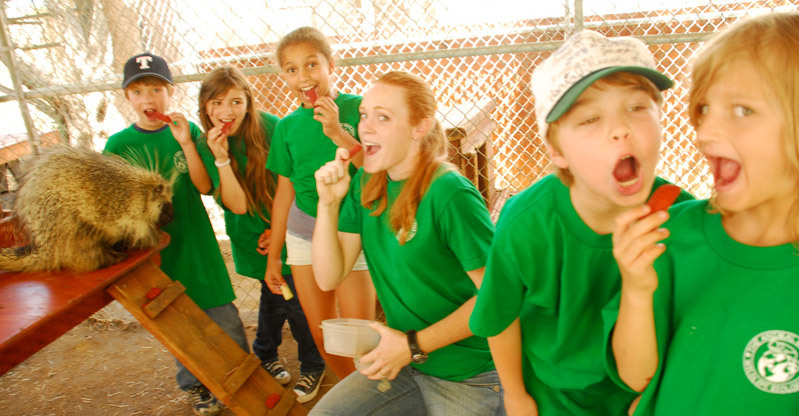 Our camps feature lots of exciting animal interactions and fun activities that give your child an opportunity to be a real zookeeper! 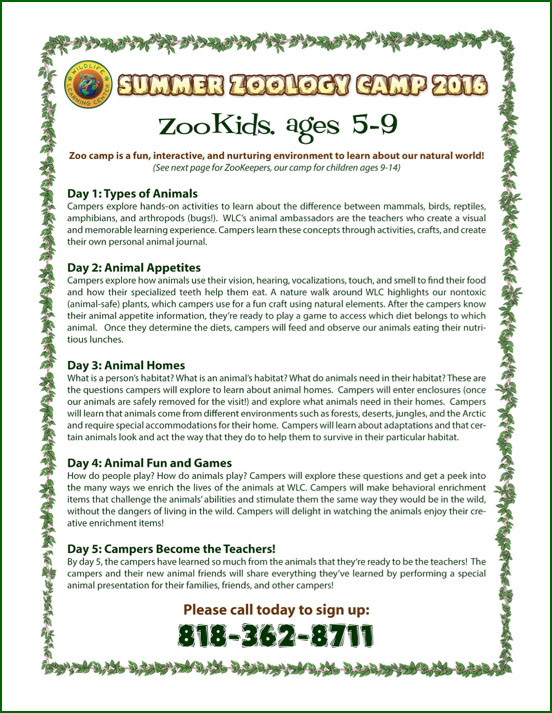 We’re excited to introduce two camper levels to accommodate all children! Just $395 For A Whole Week! 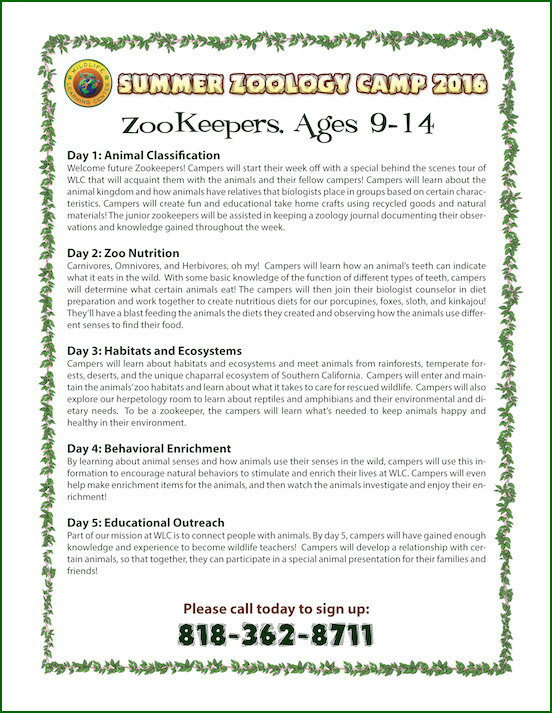 Please call to sign up today!